Bihar is one of the oldest inhabited places in the world with a history going back 3000 years. The rich culture and heritage of Bihar is evident from the innumerable ancient monuments that are dotted all over the state. 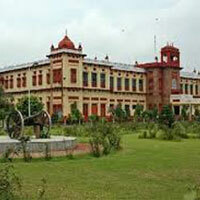 Bihar is home to many tourist attractions and is visited by large numbers of tourists from all over the world. Around total 6 million+ tourists visit Bihar every year. “Appealing Bihar: A Budget Trip” This package has been designed to take you on a journey through famous places in Bihar in a short period of time. Pawapuri to Rajgir – 20 km (0.5 hrs)Meals & drinks other than specified in inclusions. On arriving in Patna, get received, assisted and transferred by our tour representative to get checked into your pre booked hotel. Take a rest for a while at your hotel. After this get ready to visit the different sights of Patna. 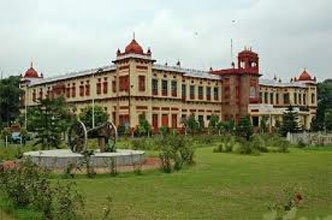 Patna is known for its tourist destinations and people across the state and abroad visits Patna. Patna is the state capital of Bihar. Bihar has been home of religious leaders like Gautama Buddha, Lord Mahavir and Guru Gobind Singh and therefore of pilgrimage importance. After Visiting different locations lunch will be offered and then again move to the particular sight for the visit. Come back to the hotel and have a sound sleep. Day will be started with delicious breakfast and then check-out from the hotel to move Nalanda. Nalanda, the ancient university town of Bihar, goes back to the days of Buddha and Mahavira in the Sixth Century B.C. The town was home to Nalanda Mahavihara, a monastic university of international repute. There are many versions of what the term Nalanda means. One is tantalum (lotus) andda Nalanda means "giver of knowledge". The university of Nalanda, a suburb of Rajgir in ancient times, is just off the main road from Rajgir to Patna. We will start our journey from Nalanda then Pawapuri and then we will move to Rajgir. In between guests will have their meal at Rajgir. After seeing different sites of Rajgir guests will check-in to hotel and stay overnight. Guests will check-out from hotel with having the delicious and move for Patna.